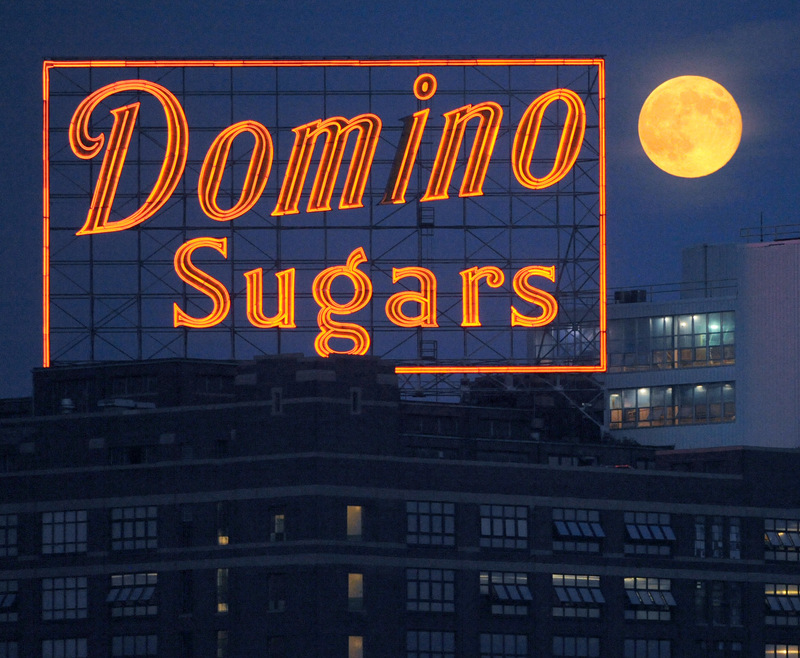 Domino Sugar, with its iconic neon sign, has been a Baltimore institution for over 90 years. The plant was built in 1922, but Baltimore’s sugar history extends back to the late eighteenth century. After becoming a major port of entry for raw sugar during the Revolutionary War, Baltimore took its place as a regional center for sugar production, with eleven refineries in operation by around 1825 (Williams et al. 2000; Magid 2005). Similar refineries in Washington D.C. and Alexandria, Virginia were all established in the early nineteenth century in reaction to international trade restrictions imposed by the Napoleonic Wars (Williams et al. 2000:279). Figure 1. Temperance Movement cup found in the fill of the privy. Alcoholics Anonymous, the highly successful organization that helps individuals fight alcohol addiction, was founded in Akron, Ohio in 1935 (Anonymous 2015). The organization (commonly known as “AA”) remained small before the 1939 publication of the group’s philosophy and methods of practice. The “Big Book”, as it came to be known, set out the all-important Twelve Steps of Recovery and contained personal stories from group members—another critical component of the organization. Alcoholics Anonymous has become an international organization; in 2012, AA Census estimated that there were 114,642 groups and 2,131,549 members (S., Arthur, 2014). 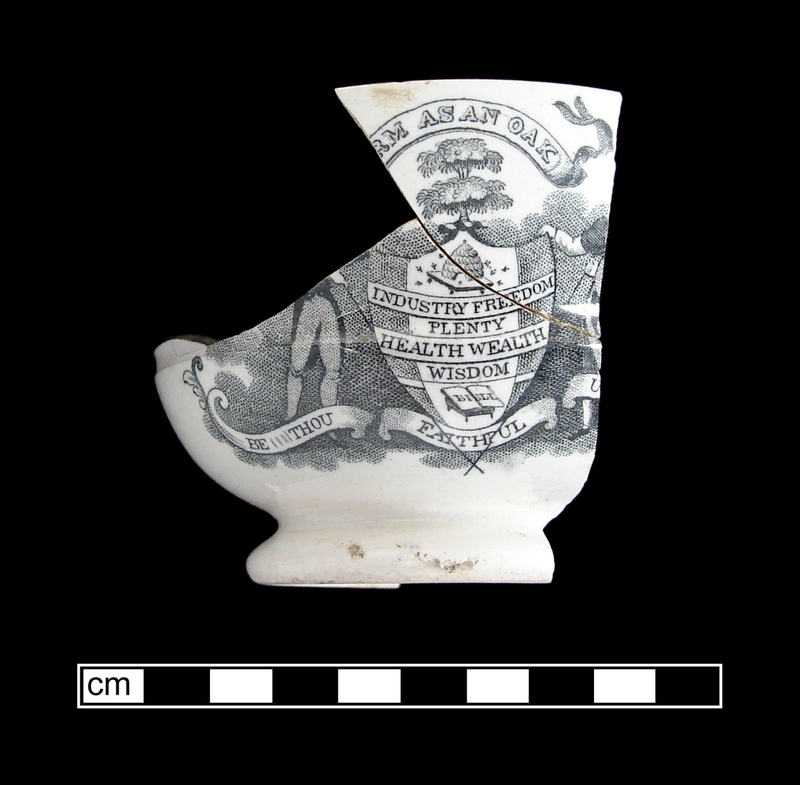 This English-made ceramic teacup (Figure 1), dating to the second quarter of the nineteenth century and found in a Baltimore privy (Basalik and Payne 1982), is a tangible reminder that overuse of alcohol is not just a modern-day problem. The cup contains a printed design of a man and woman flanking a shield-shaped motif from which sprouts an oak tree. A banner above the heads of the figures proclaims “Firm as an Oak”, while banners beneath their feet state “Be Thou Faithful Unto Death”. The male and female each appear to be holding flags, although these portions of the cup are missing. Complete vessels suggest that the flags would have read “Sobriety” (male) and “Domestic Comfort (female).